We use research to rigorously monitor the social performance of our work to ensure we are delivering deep and meaningful impact for our microfinance clients and social enterprise customers. To do this effectively, we seek to understand the complete customer experience. This includes the benefits our clients are receiving and the ways we may improve to better serve them. FINCA’s customer research aligns our programs with our mission, and provides useful intelligence for enhancing our work. FINCA approaches the question of social impact from the customer’s perspective, to understand how products affect their day-to-day lives. Our research uses participatory survey methods designed to give voice to customers’ perceptions and experiences. This data indicates whether and how we are improving their lives, and it helps us be more responsive to customer needs as we grow and scale. Customers tell us what attributes to measure and how to measure them. This generates impact metrics that are derived from customers’ daily experiences and are meaningful within a relevant time-frame. Using these metrics, a survey instrument is designed that supports rigorous quantitative analysis, including the frequency and intensity of responses and a reliable measure of their value to customers. 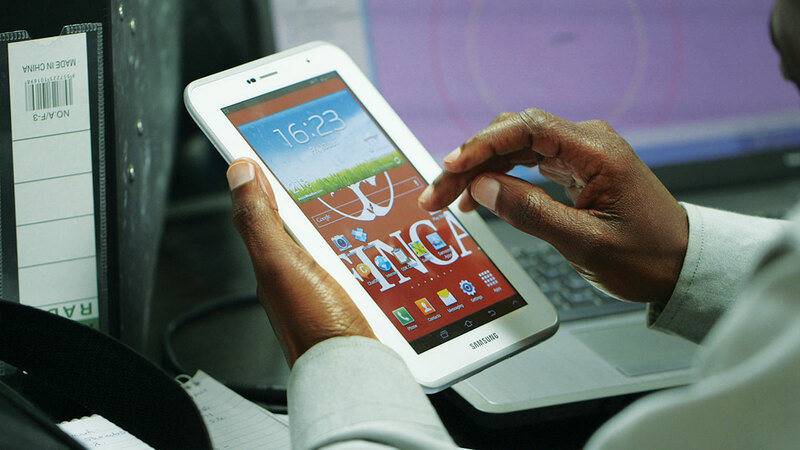 FINCA uses digital tablets to collect client household and enterprise data quickly and accurately. To help collect bullet-proof data, FINCA developed ValiData, a cloud-based research platform for collecting and analyzing field data. This powerful and unique solution offers numerous advantages over traditional field data collection. Collects reliable data on nuanced issues and overcomes survey bias. Detects outliers and inconsistencies using powerful statistical techniques. Uses machine learning to identity enumerator bias. Leverages cloud connectivity with offline capabilities to allow survey administrators to take action while enumerators are still in the field. Results in high-quality data sets for deep customer insights. FINCA’s Customer Research offers a powerful and cost-effective approach to uncovering the needs, experiences, and behaviors of emerging-market consumers as they progress through the customer journey and product life-cycle. From study design to implementation, FINCA provides a tailored end-to-end research solution. If you are interested in the social performance of market-based solutions to poverty, let’s talk. Our user-led approach can help you identify and interpret the demand-side insights that foster a market for products to responsibly serve the world’s poor.